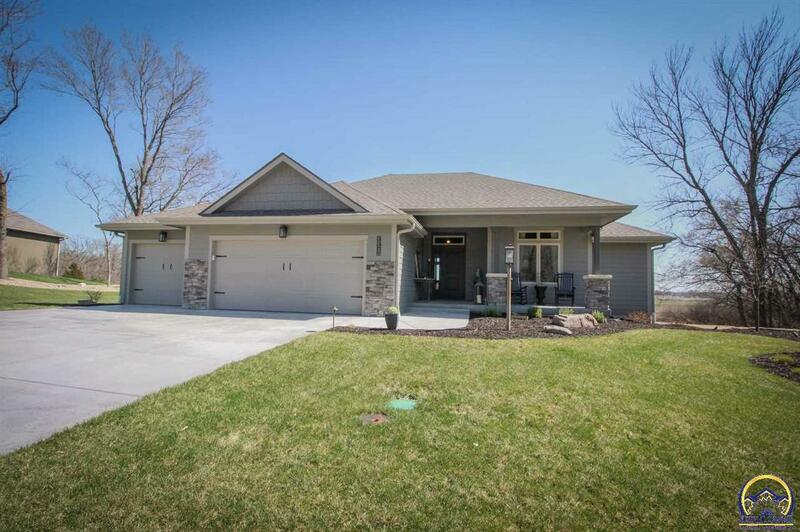 Practically new, beautiful walk-out ranch in Seaman District. This home holds lots of family or guests with its 5 bedrooms, 4 baths. So many custom touches made to this home - incredible landscaping, outdoor firepit area, outdoor kitchen area, extended deck, wet bar in the basement, and the list continues! Enjoy easy, open concept living, great for entertaining. Built by Nations Quality Homes. Come see all this gorgeous home offers in person! 3306 Bent Tree LN (MLS #206638) is a ranch single family home located in Topeka, KS. This single family home is 3,019 sqft with 5 bedrooms and 4 baths. This property was listed on 04/10/2019 and has been priced for sale at $430,000. Nearby zip codes are 66606 2414, 66606, 66608, 66615 and 66617. This property neighbors other cities such as Auburn.